You may want to access Sample Data to test out various processes and gather further understanding of some functions at some point in time while using Artisan POS. 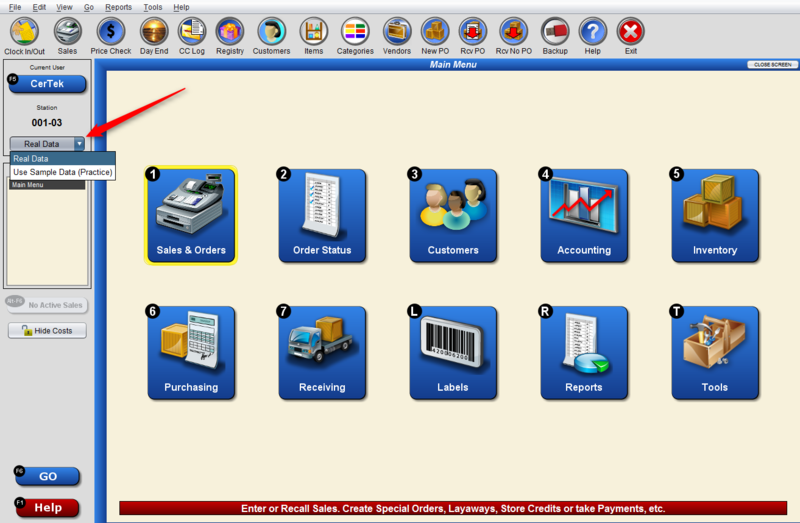 To access Sample Data, the drop-down menu on the left hand side of Artisan can be selected. Three options will be presented when migrating into Sample Data. 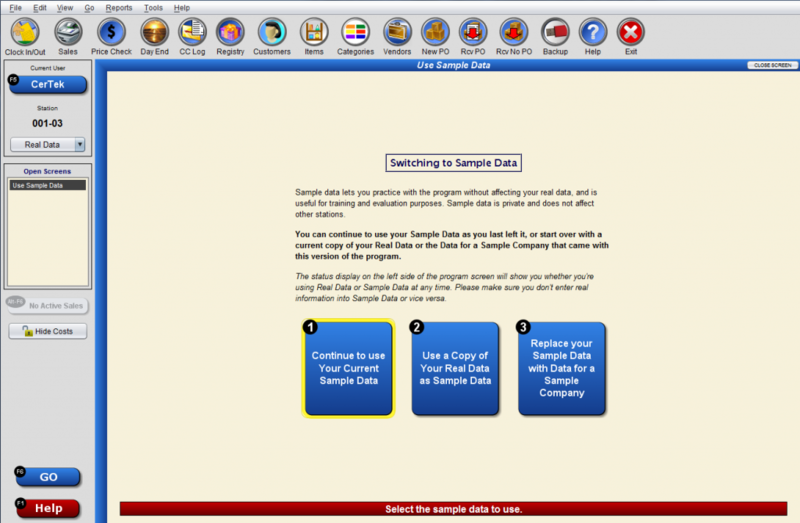 The first of these three options, Continue to use Your Current Sample Data, will open a copy of the data that you were last using as Sample Data. Please note that if you do not have a current or valid license key, this option will cause issues due to inability to update the database correctly. The second option, Use a Copy of Your Real Data as Sample Data, will take a virtual copy of the actual data for your company and allow you to manipulate it as Sample Data. The last option, Replace your Sample Data with Data for a Sample Company, will allow you to create a fictional company through choices you can add before creating the Sample Data. This can allow you to view what it would be like if you were running an Apparel retail location, or Jewelry.